Many of the restaurants that have a Michelin Star award are in a hotel. These hotels can be found on the right of this page by using the hotel search. 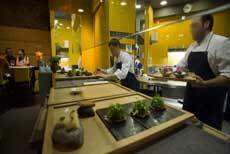 In Barcelona over 20 Restaurants have been awarded with one or more of the Stars. There are also numerous restaurants that the Michelin Guide has recommended. Along the restaurants mentioned in with the Michelin Guide you can find the name of the corresponding chefs, who are often known within the gastronomic community. You should reserve a table early, as most of these restaurants are not particularly large, and could even be fully booked for several days or even months. 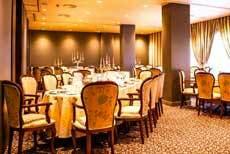 In terms of price, you should allow about €60 -120 per person for a multi-course menu. Xavier Franco and his wife Anna Donate run this restaurant in the Old Town. According to Michelin, the quality has further improved since the move to new premises. 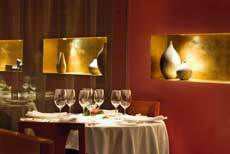 Here you are presented with several degustation menus offering experimental Catalan signature cuisine. Here products from the sea are artfully blended in an unknown way with those from the mountains. The restaurant at the Hotel Ohla has one Michelin Star. At Caelis in the Eixample district Romain Fornell is the chef. At the start of his career in Paris, he was the youngest Michelin Star chef in France. 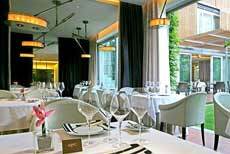 Here you can enjoy current, innovative Catalan and French cuisine with its own distinctive chef’s style. In ABaC Xavier Pellicer has cooked for the royal family. 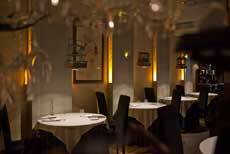 The restaurant was awarded with one Michelin Star just one year after its establishment in the old town. Today the restaurant is located on Tibidabo and has managed to achieve its second Michelin Star. The cuisine of Pellicier combines traditional Spanish dishes with modern cooking methods, which makes the food here a very special treat. In the Alkimia restaurant traditional dishes are newly interpreted from the still young but already renowned chef Jordi Vilà. 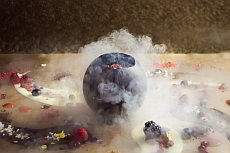 With avant-garde methods aromas are improved and new flavour experiences are created. 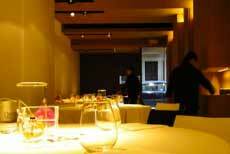 The menu offers three degustation menus, one of which is more classical. The Alkima has one Michelin Star. 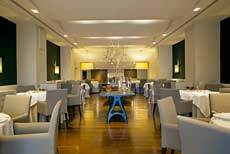 The Cinc Sentits restaurant, led by Star chef Jordi Artal, features critically acclaimed cuisine and offers seasonal menus of contemporary Catalan culinary art. 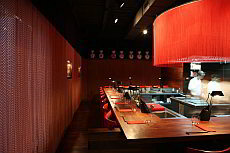 There is no menu, you can choose from three degustation menus. 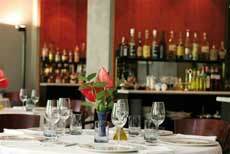 An inviting and modern furnished one-star restaurant where people enjoy spending their time. 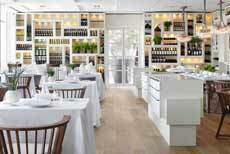 Here Carles Caig combines modern and traditional cuisine of the highest standard. The result: Catalan cuisine with fresh seasonal produce. Eixample district. The pictures at the bar prove it: Famous personalities such as Mel Gibson, John Travolta, Kevin Costner and Cindy Crawford eat at Hofmann. At this restaurant in the St. Gervasi district, chef Mey Hofmann uses the freshest ingredients to create typical Spanish dishes with a contemporary touch. Beside the restaurant there is a patisserie where you can get the most delicious sweets. The master chef Martín Berasategui has his own style. He creates modern culinary art, which has earned a Michelin Guide Star for his restaurant in Barcelona’s Eixample district. Berasategui enchants his guests with a variety of flavors and exquisite taste. 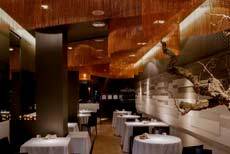 Only a few metres from the Casa Mila, star chef Joan Roca, offers signature Mediterranean cuisine. 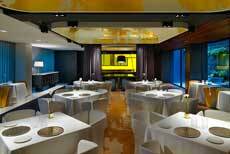 The Moo is one of the world's most prestigious restaurants with one Michelin Star. You can order half portions in the Moo - so try several menus. The restaurant has a Café area and a bright dining room. 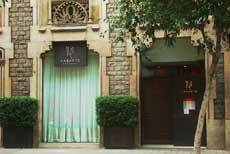 The Moo is located in the 4-Star Hotel Omm on Passeig de Gracia. Strasbourg native Jean Louis Neichel is chef at one of the top restaurants in Barcelona – an outstanding European chef, who has been showered with awards. The restaurant has two Michelin Stars. The menu offers a terrific combination of Alsace-Catalan cuisine. Chef Carme Ruscalleda about her one Michelin Star restaurant, "Moments stands for health, tradition, authenticity and a return to our roots." Key to her success is her inspiration from fresh produce, which she uses daily, with seasonal highlights. Modern dishes are complemented by traditional recipes from the Catalan cookbook, such as Arroz Caldoso (rice dish with broth), fricandó (veal stew) and Suquet (fish stew). Chef Carles Abellan discovered his vocation for haute cuisine at El Bulli, one of the most famous and prestigious restaurants in the world. His goal is to remove the sacred aura of haute cuisine from the sophisticated world of gastronomy, and to offer its creations in a modern ambience at reasonable prices. 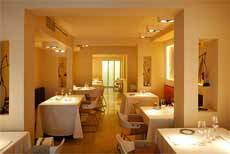 Therefore the Michelin Star Comerç 24 restaurant offers tapas in addition to several degustation dishes. The restaurant is essentially a tapas bar, but with the comfort and services of a traditional restaurant. 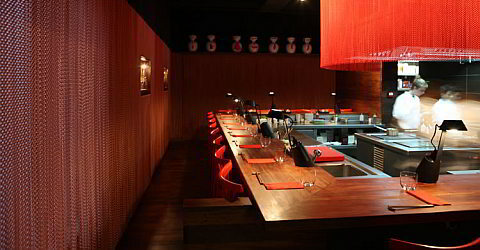 The one Michelin Star restaurant Maneiró is run by chef and owner Jordi Herrera. The bright dining room also serves as an exhibition space of various artists. Herrera’s cuisine is creative, but the local roots give the dishes a personal touch. 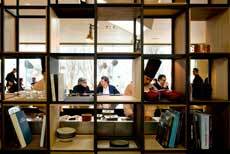 Oriol Ivern Bondia’s menu changes four times per year and is strictly based on seasonal provisions. The products are processed according to traditional and classic recipes. The Catalan cuisine is attained by adding new elements, specific subtleties and nuances. The one-star restaurant Enoteca, led by Paco Pérez, offers modern Mediterranean cuisine in a classic and elegant ambience: there is plenty of fish and seafood on the menu. The wine list is also refined: Enoteca has over 500 different wines in the cellar. 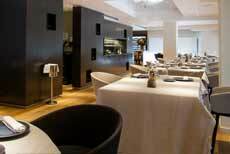 The restaurant is located in the 5-Star Hotel Arts Barcelona. At the highly acclaimed restaurant Via Veneto, Chef Carles Tejedor offers extremely good traditional Catalan cuisine, an award-winning service and an exquisite wine cellar. The modernist-style dining room is spread over several floors. Dos Cielos is run by twin brothers Sergio and Javier Torres, both of whom worked with famous chefs before they opened the restaurant together. 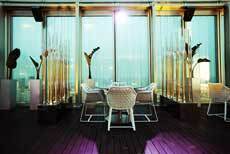 The restaurant is located on the 24th Floor of the Hotel ME Barcelona. As well as enjoying the food and the beautiful view, you can also directly watch the chefs practice their craft.